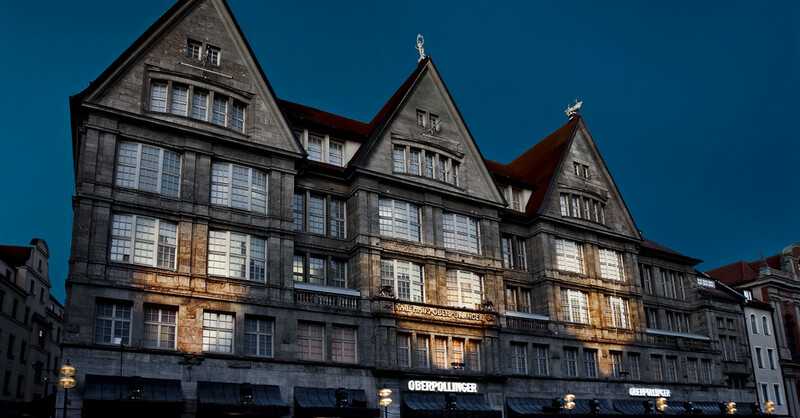 The fact that the Hanseatic merchant family M. J. Emden Söhne had achieved a coup with the opening of the Oberpollinger on 14 March 1905 could be seen both in the reports of the enthusiastic clientele and in the daily press in Munich. The »breath of the big wide world« woe through the luxurious department store in the Neuhauser Straße, was to be read in the newspaper »Münchner Neueste Nachrichten«. Even the building by the architect Max Littmann with a glass-covered atrium and four passenger elevators had something excitingly sophisticated about it. Visitors could enjoy exquisite goods, a tea room, a travel agency and public telephone booths. The Oberpollinger quickly became a magnet for the public. Under the management of Rudolph Karstadt, the house was a revolutionary business model in the 1920s: low fixed prices and cash payments instead of haggling and covering letters. Economic restrictions and calls for boycotts by the Nazi regime, to which many department stores were exposed from the 1930s onwards, caused the ruin of Oberpollinger. After a bombing raid, the building burned down to the basement rooms in the night from 7 to 8 January 1945. What was left of the goods and inventory was plundered. 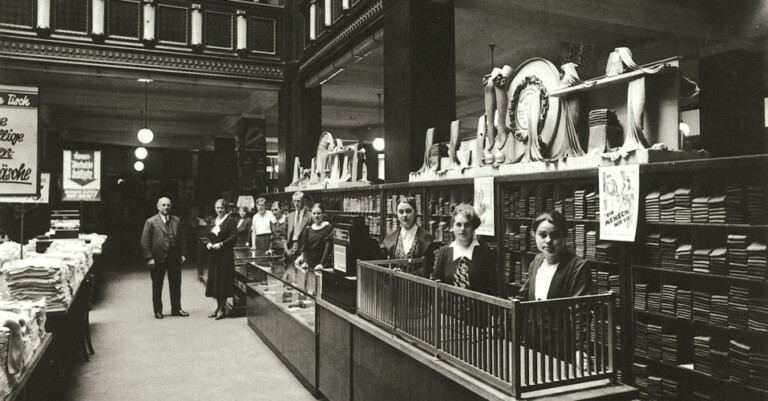 However, 600 square metres of the sales area on the ground floor could already be put back into operation in 1947. In 1954, the newly erected building was reopened. Oberpollinger now offered more products than ever before as well as the service of 2,000 employees. Just in time for the 1972 Olympic Games, the magnificent Munich mile between Marienplatz and Stachus was completed, on which the historic façade of the building occupied a prominent position between fountains, monuments, cafés and restaurants. After the turn of the millennium the character of the Oberpollinger was renewed. 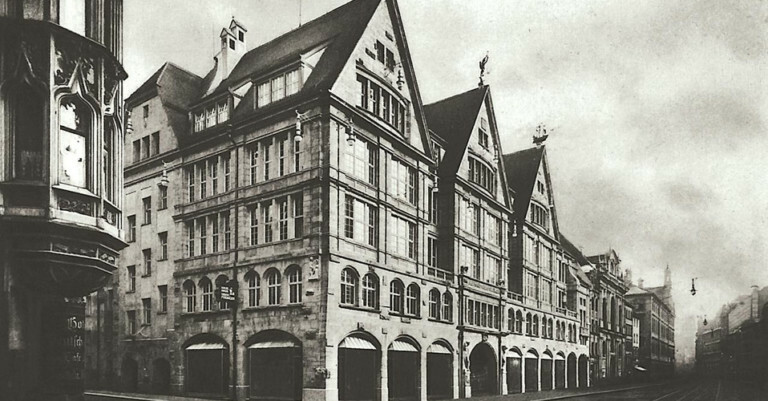 Extensive modernisation measures transformed the traditional building into a visionary department store. 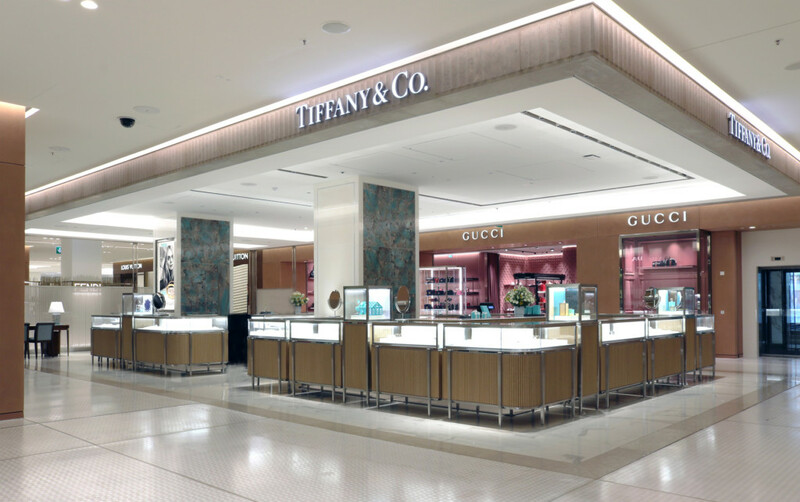 By 2006, the sales area had expanded to 34,000 square metres, spread over seven floors. Today, Oberpollinger stands for an urban lifestyle, but is also committed to Bavarian tradition. Since 2016, another major conversion has been taking place, for which British architect John Pawson is responsible. 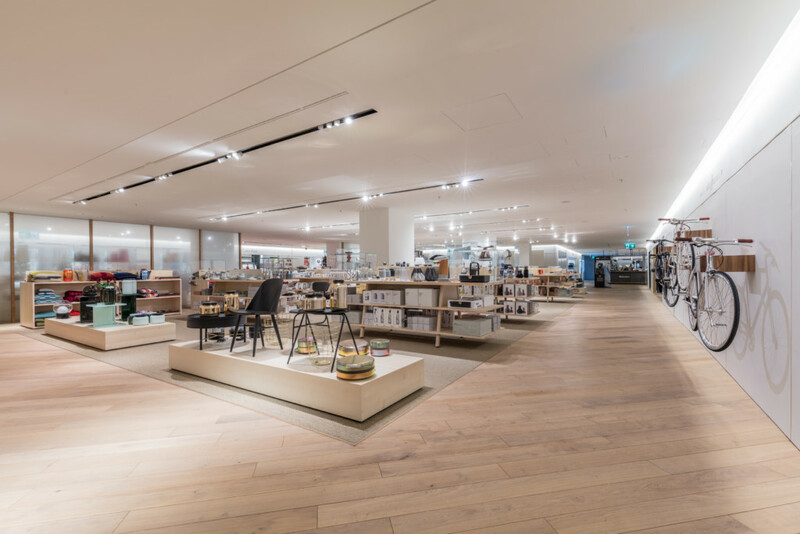 Thanks to the associated renovations, the shopping experience in Oberpollinger will in future be even better geared to the demands of national and international customers, who are flocking to Munich in ever greater numbers. Opening of the new ground floor with the areas accessories, beauty and jewellery in September. 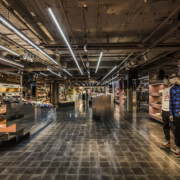 Start of several years of renovation according to the plans of architect John Pawson; opening of the new concept store »The Storey« in the basement. The Central Group/La Rinascente acquires a 50.1 percent majority interest in The KaDeWe Group. Takeover of the majority shareholding in Karstadt Premium GmbH by Signa Holding GmbH around René Benko; renaming of the associated houses to »The KaDeWe Group«. Takeover of the Karstadt Group by Nicolas Berggruen Holdings GmbH; further development of Premium GmbH with KaDeWe, Alsterhaus and Oberpollinger. 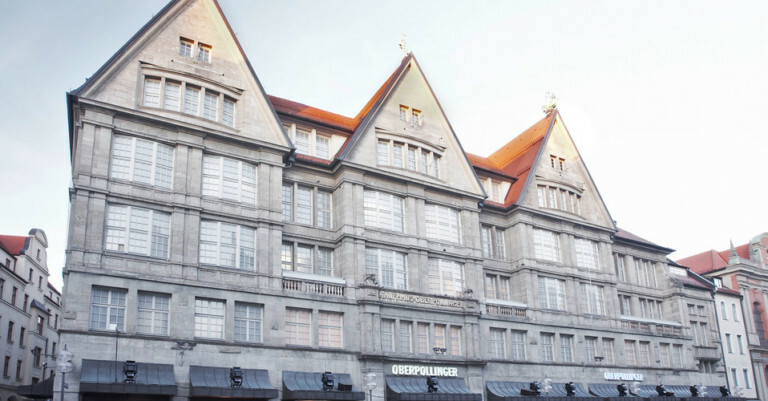 Presentation of international fashion brands on 15,000 square metres; new opening of the 4th floor and the converted ground floor based on the model of the KaDeWe. 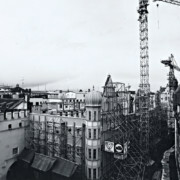 Merger of the Karstadt houses KaDeWe, Alsterhaus and Oberpollinger into Karstadt Premium GmbH. Extension to seven floors and 34,000 square meters according to Michelgroup plans. Start of the reconstruction according to the plans of the architects Virgil & Stone. Opening of the new pedestrian zone between Marienplatz and Stachus on the occasion of the Olympic Games in Munich. Conversion and enlargement according to the plans of architect Philipp Schaefer.